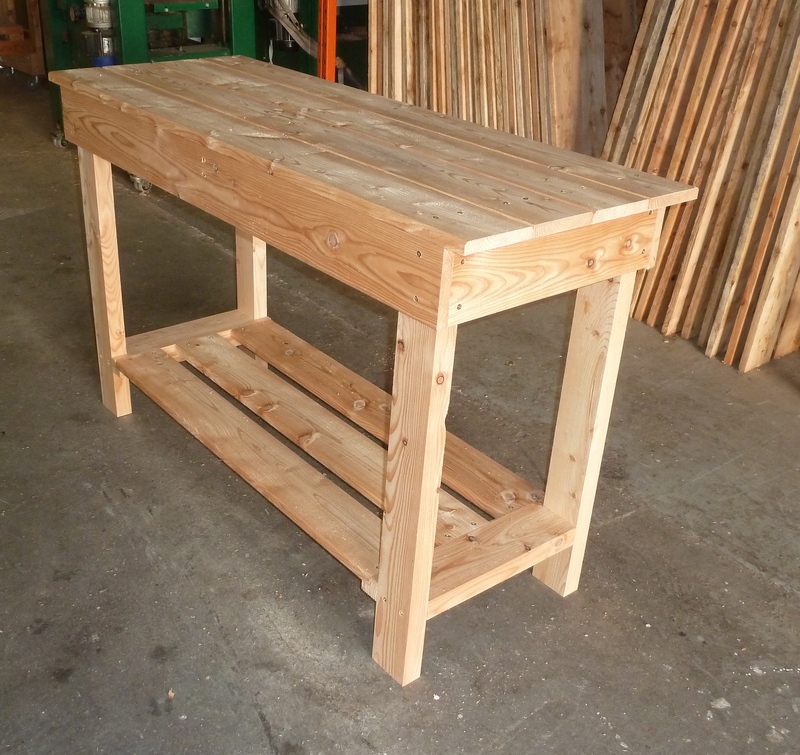 The carcass is made from fully planed larch. 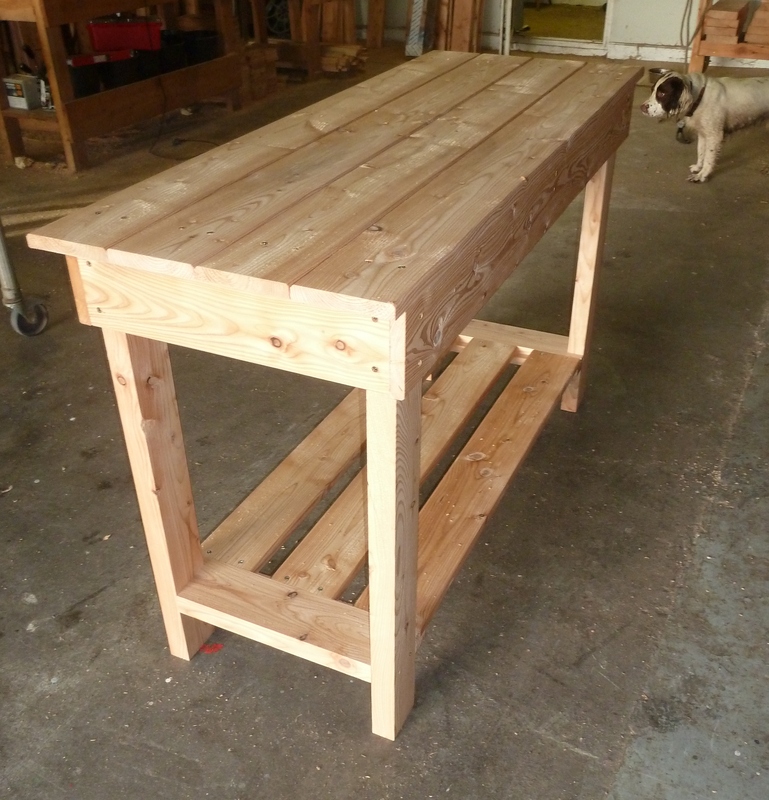 The legs are made from 95mm x 45mm uprights to provide great strength and rigidity. 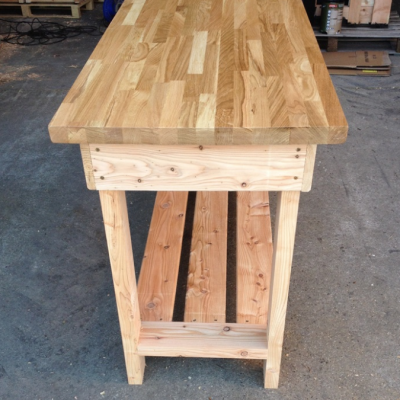 The sides are made from fully planed 142mm x 21mm larch boards, . 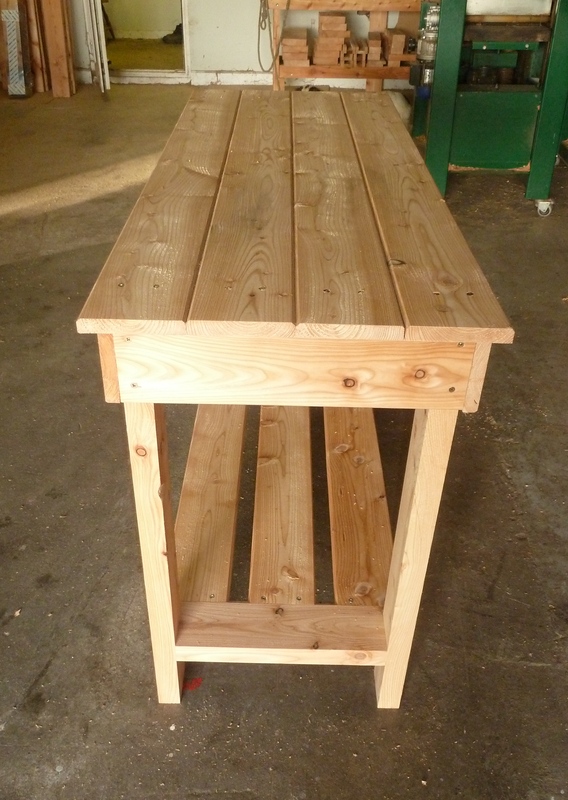 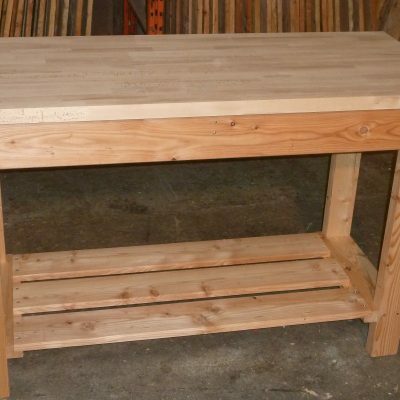 Solid larch 21mm thick top larch board workbench.